Does your family make Christmas treats like homemade candy or cookies every year? Mine sure does! The cookie and candy platter that my mom makes is legendary. She probably wouldn’t be allowed to come to Christmas celebrations without it. 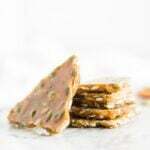 One thing that has been missing from our holiday candy lineup is a good brittle. I can remember my mom making peanut brittle years ago, but it hasn’t made an appearance in at least a decade. It’s high time to change that. 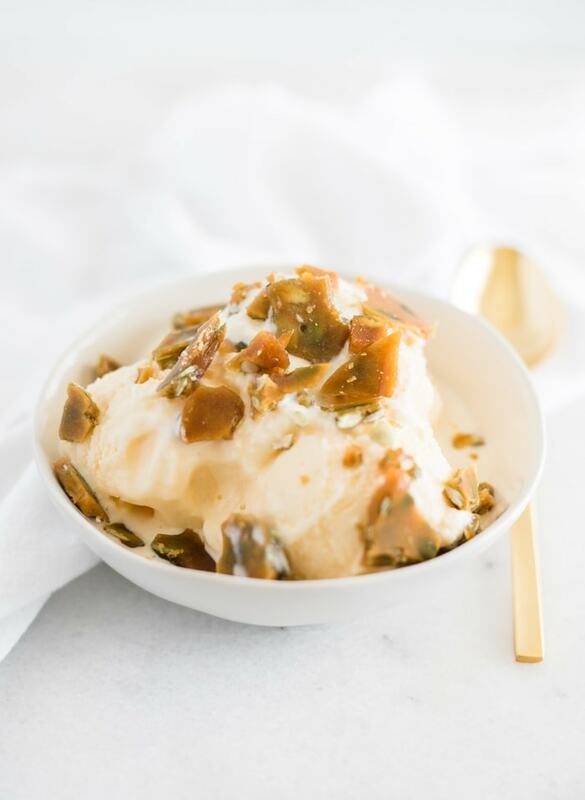 This year I decided to go with a little bit different version of brittle – maple bourbon pumpkin seed brittle. It’s not your standard holiday brittle recipe that tastes like straight up sugar (which, let’s be honest, most brittles are). 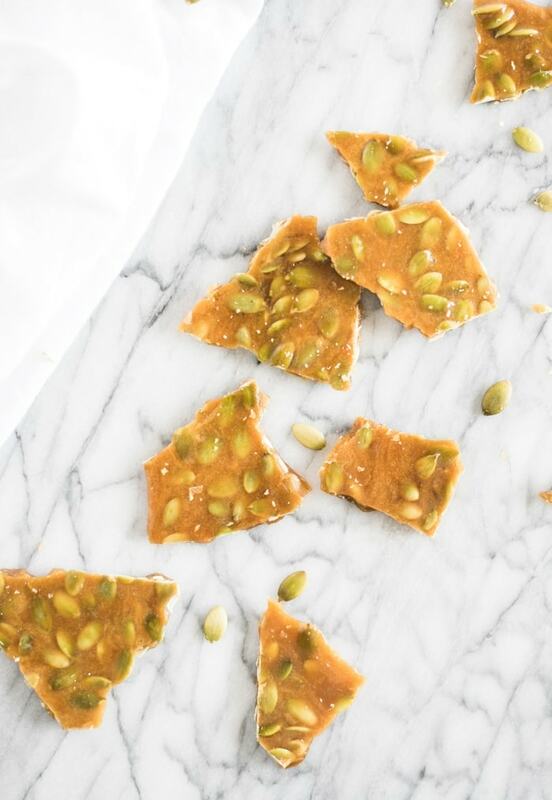 Nope, this pumpkin seed brittle is made without corn syrup, and has maple syrup and a hint of bourbon for a nice festive flavor and a little more dimension. It’s absolutely delicious. I realize this is the third recipe in about two weeks that I’ve posted with bourbon, and all I have to say is #sorrynotsorry. ‘Tis the season. A candy thermometer is useful if you’re making brittle. I bought a cheap one at the grocery store, and it has worked perfectly fine for the few times a year that I use it. Totally worth the investment to not have to play the guessing game. 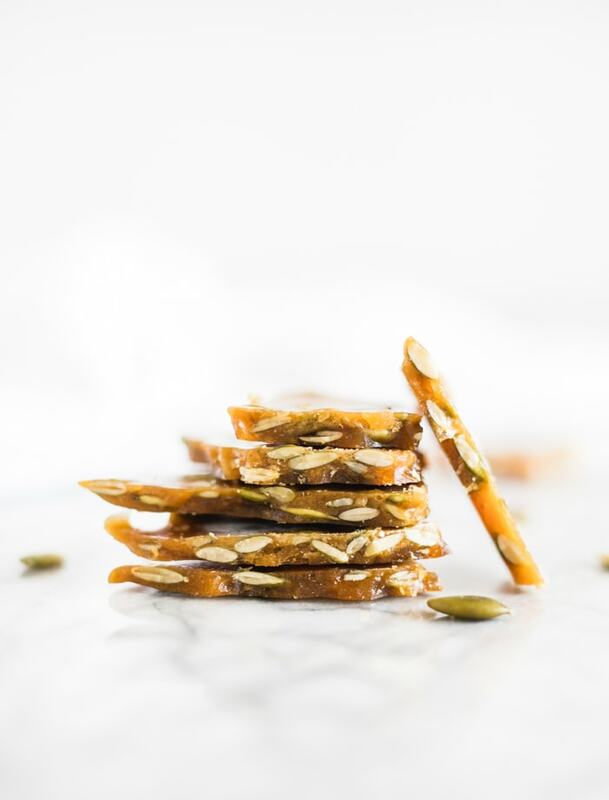 Once your pumpkin seed brittle reaches the correct temperature, work quickly to avoid the sugar burning or crystallizing. Just a quick stir once you add the pumpkin seeds, baking soda and salt is all you need before you spread it onto the parchment. And please be careful! Caramelized sugar is VERY hot and will give you a blister if it splatters on your hand. Don’t ask how I know. 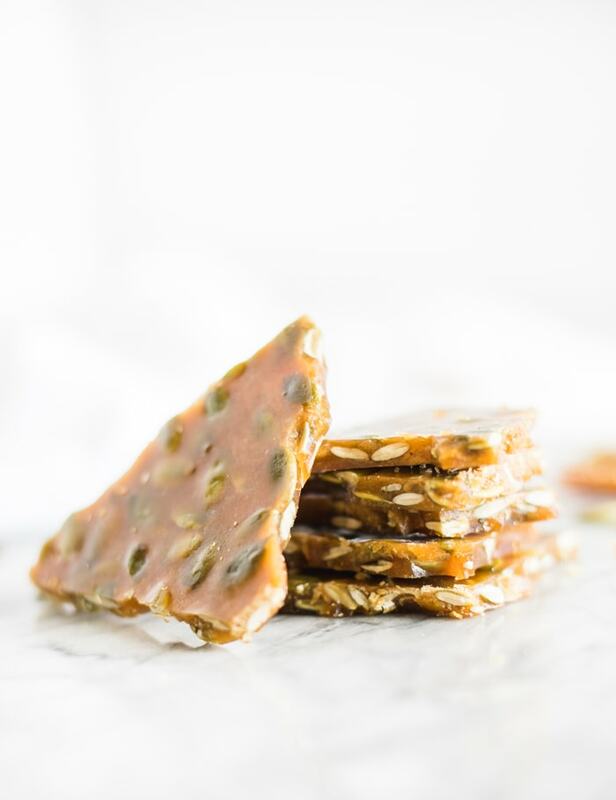 Blisters and candy thermometers aside, this no corn syrup maple bourbon pumpkin seed brittle is a delicious holiday treat that makes a great homemade gift! Or save it all for yourself if you want. It’s delicious crumbled on top of vanilla ice cream! In a large saucepan, heat sugar, maple syrup, bourbon and butter over medium heat, stirring to combine, until mixture comes to a boil. Attach a candy thermometer and continue to cook without stirring, until mixture reaches 300°F. turn off heat and quickly stir in pumpkin seeds, baking soda and salt. Immediately pour onto prepared baking sheet and spread evenly. Work carefully – mixture will be very hot and can cause burns if it gets on your skin. Cool until hardened and break into pieces.